Marble countertops are still a preferred choice when it comes to the kitchen countertops for people who are looking for stone that offers them elegance, style and matches well with the rest of theme in the house. For people who cannot afford the granite stone, marble is the perfect choice for them. The shade of white the marble has on offer cannot be equalled by any other stone choice in the market. 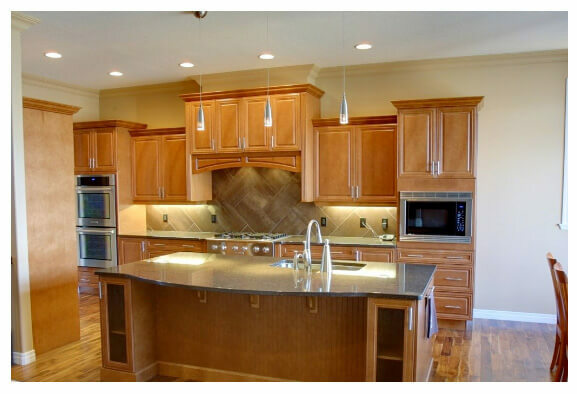 Marble suppliers in Edmonton will give you many choices to choose from; where you can select the marble according to the styles of grains it has on the surface. Here are some of the reasons that make marble a good choice for the kitchen countertop. The marble Edmonton is available in lot of shapes and choices and it gives you a very good design options to select from. The white colour of the marble not only gives you an elegant finish, but it also goes well with the rest of the theme in the house. The white shade of the marble is very pleasing to the eyes and they have certain sheen on the surface that matches really well with the cabinet design you have in the kitchen. With marble Edmonton, you don’t have to worry about spending a lot in the renovation of the kitchen. Many marble suppliers in Edmonton have lots of choices and you can compare the pricing with different retailers to find yourself the best deal. If you are going to compare the pricing of the marble with the granite, then it’s going to cost you very less. This doesn’t mean that for the less pricing you are getting a bad quality stone. Marble gives you the similar strength and is also a very durable stone option. When you hear the word marble, then only one thing comes to your mind, white. Marble is also available in the shades that are other than the colour white, although if you are looking for the stone options that gives you various choices for the shades in white, then marble if the best choice for you. Edmonton marble countertops are also offered in various shades of white, cream, black, green, and pink. Marble is very easy to maintain in the longer run and you don’t have to spend a lot in the regular cleaning and care of it. You just have to wipe the surface of the stone using a damp and soft cloth after each use and you will be done with the maintenance part. You just have to ensure that you are getting the marble installed by a professional to make sure it is installed in a right way. This gives it a proper base that provides it with the right support. You also have to get the marble sealed by the professionals periodically, to keep it safe from scratches and stains.